From his first cd in 1995, Spirit of the Mule, KP Devlin continues to play with words and weave them into more and more complex musical arrangements. 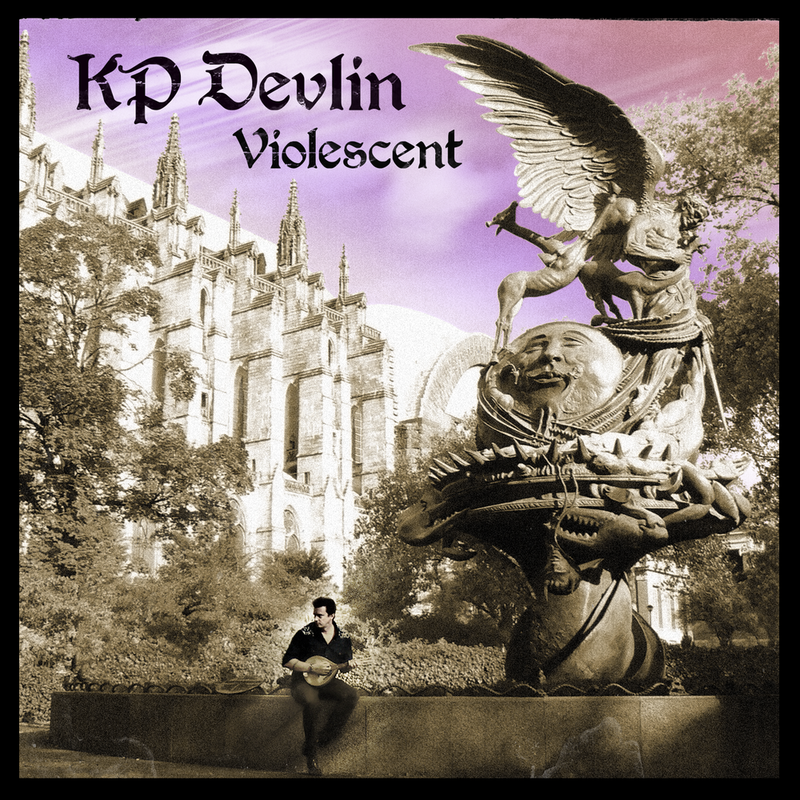 In this new release, Violescent, the listener is lead on a surreal journey through the dark and shadowy passages of Devlin’s imagination. His use of such words as necromancer signals a land of magic and wizardry. One of his strengths is his ability to lead us from song to song in such a fanciful way that we are always anticipating what is coming next and just when you think you’re in a place you’ve never been, he presents us with the comforting "Coming Home" that will pierce your heart with its sweetness. All in all, Violescent is a strong collection of cleverly written songs supported by equally clever instrumentation. Devlin has gathered a group of superb musicians who have brought their Irish pipes and whistles, medieval hurdy gurdies and krumhorns, as well as electric guitars and drums to entice us into a magical listening experience.